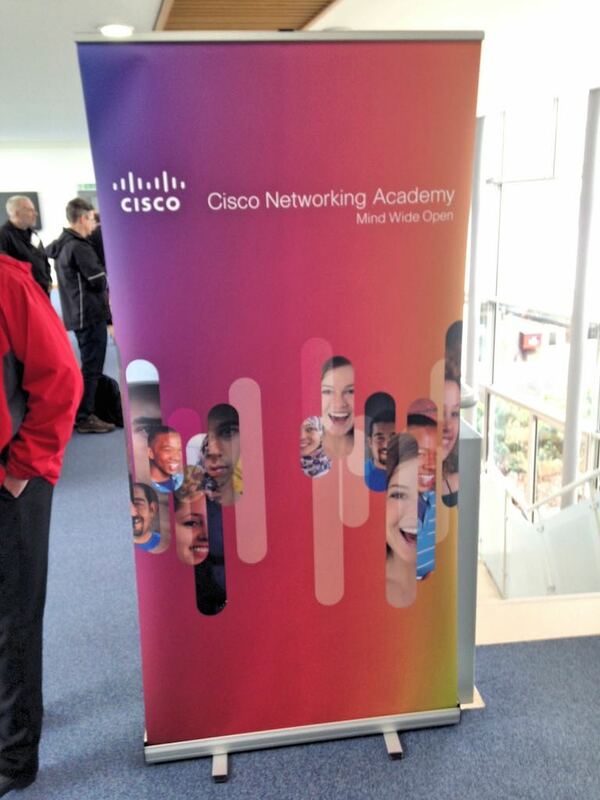 This is what Nuno Guarda, Head of Corporate Affairs for Cisco in the UK and Ireland, tweeted yesterday after a very successful event held at the Open University. Alexander Mikroyannidis and Aitor Gomez-Goiri (Knowledge Media Institute – KMi, The Open University) presented their latest work on rich interactive learning materials, featuring the development of an HTML5 widget, which is based on Cisco’s Packet Tracer. Packet Tracer is a network simulation tool used by millions of Cisco’s Networking Academy students worldwide. In collaboration with Andrew Smith (Faculty of Mathematics Computing and Technology, The Open University), KMi is building a web interface of Cisco’s software in order to integrate Packet Tracer in a variety of learning activities within online courses and interactive eBooks. This work is funded by the EU project FORGE (Forging Online Education through FIRE). The event was organized jointly by CompTIA, Cisco and the Open University and was entitled “Delivering Industry Education within Academic Programmes”. It featured several stimulating talks from Nuno Guarda, Andrew Smith, Monica Grady (The Open University), James Stanger (CompTIA) and Hannah Robertson (Pearson Education).